Of all the different delivery systems available today for CBD, dabbing CBD concentrates are preferred by many people due to the strong effects they offer, among other things. Then, there are similar but different products like CBD Crystalline, CBD Isolate, and CBD Powder which all offer similar strong effects and are aimed at the more advanced CBD users out there. CBD Concentrates originally surfaced in the THC world, for people who were interested in taking things to the next level by packing as many potent cannabinoids into one hit as possible. And while those cannabis users who like to get high love THC Concentrates for obvious reasons, the same principle has now been applied to CBD; for people who are more interested in the relaxing medical effects of CBD and not into getting stoned. Essentially, CBD Concentrates, as well as things like CBD Crystalline, CBD Isolate, and CBD Powder are nothing more than a substance that is a high-potency extract of the hemp plant that contains a large amount of CBD. It’s even possible to buy CBD Isolates that contain a whopping 99 percent CBD! The advantage of taking CBD in this form is that the user can consume large amounts of CBD quickly – perfect for those people who want and need strong, effective and immediate relief from their symptoms. CBD is extracted from cannabis plants and then made into various medications such as sublingual sprays, edibles, capsules, and many others. However, the strongest extracted CBD is preserved for products like CBD Concentrates and CBD Isolate and that’s what ensures it packs a massive punch each and every time. When it comes to choosing the right CBD Concentrate for you, it’s vital to ensure that you purchase a product from a company who use CO2 extraction as opposed to other extractions methods. You don’t want to be dabbing butane-extracted CBD Concentrate as that can contain toxins and other nasties. Let’s take a good look at three of the strongest CBD Concentrates on the market anywhere today, and see which one works best for your specific needs. Being one of the biggest and most reputable names in the world of CBD, Endoca has solid and well-earned loyalty from its customers. Their CBD Crystalline, for example, contains 99 percent pure CBD and is made from the finest 100 percent organic hemp available. Totally THC-free, this product is perfect for vaping, dabbing and even for taking as an edible. People know they can trust Endoca’s products and that’s a fact as their CBD Crystalline contains zero preservatives, no artificial colors and is suitable for vegans and is also gluten-free. Many people choose this product as it also contains trace amounts of delicious terpenes – found inside the cannabis plant – such as Linalool, Terpinolene, and Huulene. This makes for a delicious and well-rounded vaping or dabbing experience every time. CBD crystals are probably the strongest, most concentrated form of CBD in the world today. This suits people looking for strength, purity and fast relief and is also an economical way to take CBD. 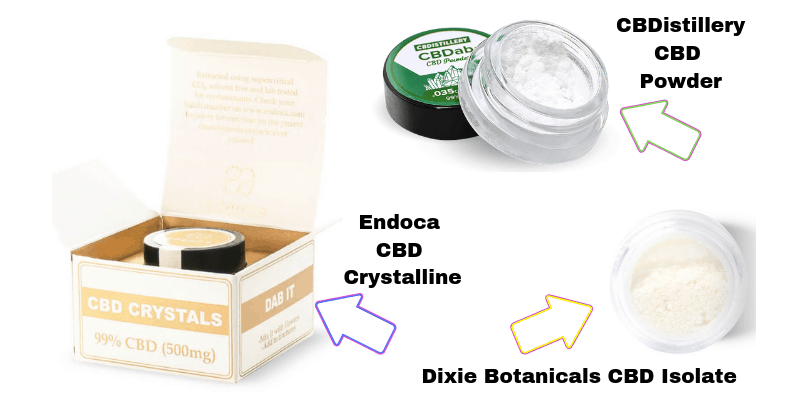 The great thing about Endoca’s CBD Crystals is that they can be popped in your mouth and quickly absorbed under the tongue if vaping isn’t an option. 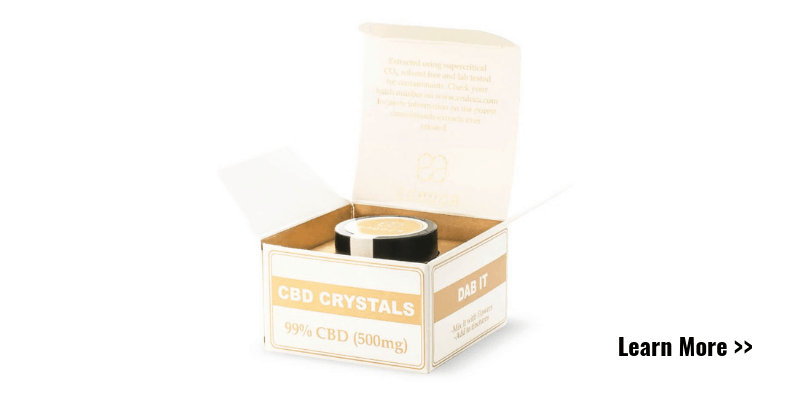 CBD Crystals are also known by some people as CBD Isolate and are essentially the active ingredients extracted from the cannabis sativa plant. Endoca uses only EU certified organic hemp, which utilizes what’s called the “Supercritical CO2” extraction method. This is considered by most to be the cleanest, purest and best extraction format for CBD. Being that CBD Crystalline contains 99 percent CBD, many people want to know what is contained in that other 1 percent. The answer to that is Terpenes, and they play a part in what’s called the “Entourage Effect” which is related to the special synergy between the various compounds in the plant together with active compounds like CBD. Having established themselves firmly in the online CBD world in 2012, Dixie Botanicals has been a trusted and recognized name when it comes to top-shelf CBD products. They provide customers around the world with their unique products; with their CBD Isolate being one of the favorites. Dixie Botanicals claims their full-range of consumer-friendly products has helped to bring CBD into the mainstream. With worldwide shipping offered by this company, their CBD oil tinctures are sweetened with Stevia and are vegan and totally natural and organic. 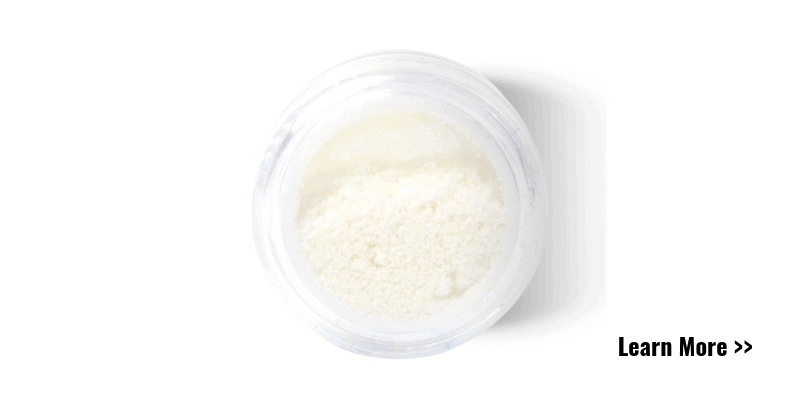 CBD Isolate is strong and is best enjoyed when dabbed or vaped. Custom edibles are also an option though, especially for people who want an immediate boost of CBD and that aren’t in a position to vape at that time. Dixie Botanicals are proud to boast about the fact that their products are all expertly chosen by a dedicated team of scientists, clinical herbalists, and nutritionists, who all formulate their outstanding products together, ensuring that the end result is nothing short of perfection. However, CBD Isolate is neither synthetic nor crafted in a laboratory. CBD Isolate is, in fact, 100 percent naturally extracted from hemp oil and refined down to a pure CBD power. When it comes to this CBD Isolate there’s no oils, waxes, chlorophyll, and other plant materials in the mix. For vapers, CBD Isolate can be added to their favorite vape juice or e-liquid and that means they can enjoy the numerous benefits of CBD when out and about or on the go. This Isolate is also decarboxylated and can therefore simply be poured onto your favorite food or beverage without the need for further processing or heating. You can purchase Dixie Botanicals CBD Isolate for a great price, including the option of buying 1000mg for $49.99. CBDistillery is a well-known brand in the upper echelons of the CBD world. Founded by a group of Colorado natives who strongly believe that everyone has the right to top-shelf, quality products but at a reasonable and affordable price. CBDistillery is best-known for their popular hashtag, #CBDMOVEMENT. With that hashtag, the company has provided access to the public on information regarding CBD. From education to forums and research, this is a company who take CBD very seriously. CBDistillery’s CBD Powder is 99% pure and is an Isolate derived from Industrial Hemp Oil that was extracted from the mature stalks and stems of the plant only. More than that, their lab results show that their CBD Powder is NON-GMO, PESTICIDE FREE, and CO2 Extracted. The Powder contains zero THC and is one of the stronger, more potent CBD’s on the market today. The company offers one of the widest ranges of CBD products on the web to its customers and often have special deals and offers to keep people coming back for more. Whether it’s their Full Spectrum CBD Infused Softgels or their CBD Vape Pens of CBD Gummies; there’s something for anyone interested in starting their CBD journey and that journey is well worth starting with these guys. CBDistillery has some great reviews online, and the fact that their CBD Powder is so potent means that the advanced CBD users out there rave about their products all the time. 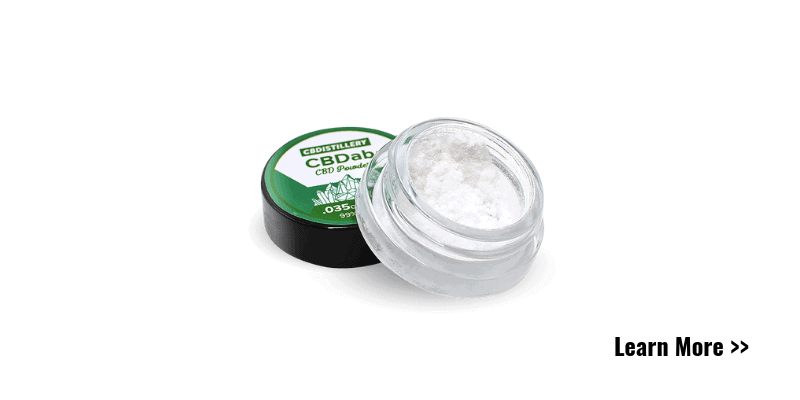 You can purchase CBDistillery’s CBD Powder for a great price, and they offer free domestic shipping over $75. If you’re looking for a versatile yet potent way to take CBD simply and conveniently, CBD Crystalline, CBD Isolate, and CBD Powder are probably the strongest form you can go for. Always be sure to read customer reviews from verified buyers and, of course, always check the label.